A human resources assistant is an entry-level job that will put you in the ideal position of learning the ropes while being compensated with wages and benefits. As the job title implies, you will be working directly under one or more senior employees who will be directing your job functions. These functions cover a broad range of administrative and clerical tasks specific to human resources management. As an HR assistant, you will need a specific set of soft skills to succeed at this job. Due to the amount of information you will be handling, organizational skills are must-have qualities to sort through the details and make sure that you can prioritize tasks effectively. You will also need good communication skills because many of your responsibilities will have something to do with interacting with your supervisors and other employees. Effective writing skills are crucial to ensure that you can generate reports and department correspondences as needed. In the modern office setting, employees must be comfortable with using technology. In the HR department, technology is very much a part of the documentation, records creation, archiving and management process, so an HR assistant must possess some technical skills to cope with the job. In this job, you should display the ability to learn new technological skills as needed. Academic qualifications for this job are minimal. A high school diploma or completion of an equivalent degree will qualify you for the candidates’ pool. Related Resource: Does an Associate of Science in Human Resource Administration Have any Value in the Job Market? One of the primary functions of HR is staff recruitment, and an assistant in this department will act as a gatekeeper. Using guidelines provided by the company, an assistant will sort through resumes and forward those that are best qualified to HR specialists. The assistant may be given the task of contacting prospective applicants to schedule interviews, testing and physical examinations. 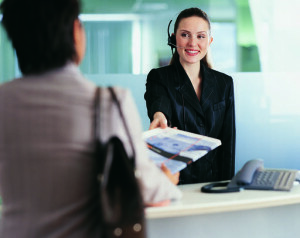 In some cases, a departmental assistant may conduct pre-interview qualification by phone. When candidates are shortlisted, you may be asked to draft the correspondence advising prospects of the next steps to take. When a job candidate is selected, an HR assistant may be asked to prepare the paperwork to finalize the hiring process. You may be asked to generate important paperwork, such as proof of employment eligibility and professional credentials. You will be charged with creating and maintaining personnel files. Orientation and training of new employees are basic tasks for HR, and you will have some part in these tasks also. Labor laws, the Internal Revenue Service, Social Security Administration and other government bodies require that certain information about employees are updated and easily accessible to authorized personnel as needed. The human resources assistant plays an important role in updating the HRIS to comply with legal guidelines. In general, any administrative task in the department may be assigned to an assistant. These tasks may include making travel arrangements for executives, planning special events and collecting data that HR specialists will need to generate reports on employee performance, productivity, wages and benefits. A human resources assistant performs many tasks that are crucial to running the department efficiently. They make sure that clerical and administrative functions are completed in a timely manner to ensure that HR specialists can perform their tasks effectively.